You know a show's good when it makes a Wednesday night feel like a Friday night. And James Supercave (fka Masxs), the fast-rising psychpop project of Joaquin Pastor, did exactly that, headlining an Echo show with some heavy local talents. Space sojourners VS Colour started off really laid back, but their prismatic grooves took the Echo earlybirds on a serious trip. Singer/guitarist Joe Bates even threw down some dance moves on their closing odyssey jam. Miya Folick followed soon after, meticulously working the sound on what started as a sparse solo performance, but took a turn for the experimental, and ended in a jaw-dropping finale with her drummer. And then of course, there was James Supercave, the freshest of them all. Rolling out with a rework of 2014's "Burn", Joaquin Pastor's crew got strange on stage with their newest single, went far back with their 2011 breakout "Chairman Gou", and even threw in a two-song encore to the satisfaction of the crowd. 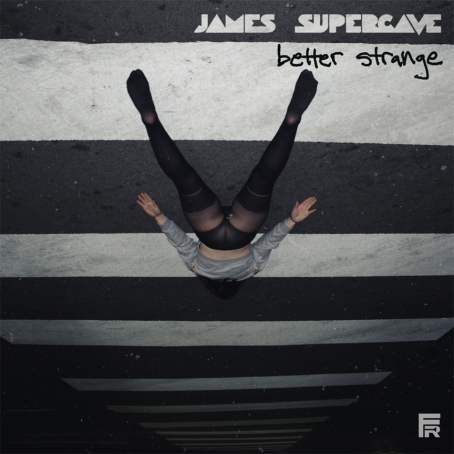 New single by James Supercave is weird, and we love it: "Better Strange"
The psych-pop matador James Supercave came out with a new single yesterday, and by the first line we've already lost the game. From the wheezing synth riffs to Joaquin Pastor's choked falsetto, "Better Strange" unravels with a bass thump, shuffling around with anxiety like the most invisible wallflower at a house party. 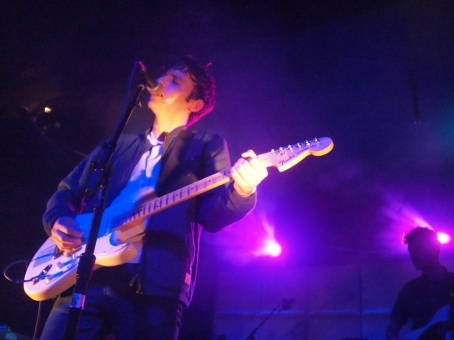 It's moody, yes, and sounds uncompromisingly honest. Uncompromisingly weird. And it's glorious.